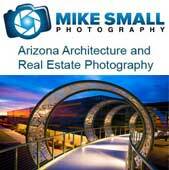 Today is the 2 year Anniversary of Mike Small Photography, my real estate photography business in Phoenix, AZ. I’m very lucky to have the opportunity to photography for a living. Over the past two years I have served 281 clients, photographed over 650 homes and buildings, taken 27,827 photos (give or take) and driven over 30,000 miles in and around Phoenix. I get to see a lot of great homes in my day to day work. But there are always some that stand out to me and really become my favorites. So as part of my 2nd anniversary I decided to pick out my top 10 favorite homes I have photographed. They are not presented in any particular order. I have had my photography business for a while now and launched Mike Small Photography some time ago to show case my full range of photography services. But as I work to expand and fine tune my marketing plans I have launched a new site today that focuses just on the real estate photography side of the business. This new site expands upon the services I offer in residential, commercial and multifamily real estate photography making it easier for realtors and those marketing any type of property to find what they need. So please click on over to it, browse around, offer up any feedback and pass it on to your friends. Hiring a professional photographer to photograph your home when you are selling it can be a great investment. With so many potential home buyers starting their search on then internet eye catching professional photographs can make your home stand out in a crowded market. To help make your investment go further there are several things you can do to help prepare your home for a professional photo shoot. Download a printable home photography preparation check list. You are trying to show off the home’s best features; a lot of stuff can distract from those features and you want them to be seen. We are not photographing your home, we are photographing the potential new home of prospective buyers. Do not take the process personally, it is part of the business of selling the house. High quality photography will show the home exactly as it is. Some minor flaws and dirt can be corrected in post-processing, but if you can see it the camera will show it in the photographs. Remove excess furnishings and knick-knacks from rooms. Large amounts of furniture and decorations do not generally photograph well and can distract from the homes features. Pick up throw rugs and runners in entryways, kitchens, and bathrooms so that the floor can be clearly seen. Replace all burned out light bulbs both inside and outside the house. Good lighting is key. Remove all cars, boats, RVs, motorcycles etc. from the driveways and do not park directly in front of the house. Move garbage and recycling cans out of sight. Remove all garden tools, hoses, and clutter. Pick up after your pets. Yes, even that might show up in a photograph. Remove all children’s toys, bikes, etc. Mow the grass, rake up leaves and debris, pull weeds and remove any dead vegetation. If you are feeling ambitious, plant some fresh flowers in empty planters and pots. Make sure it is clean. Sweep dirt off the bottom and skim off the debris floating on top. Remove the pool sweep, floating chlorine dispenser and pool toys. Straighten lounge chairs, put away cleaning tools, and set up the patio umbrella if you have. Turn on pool lights, waterfalls and spa bubbles. If you want to add that extra touch, roll up some colorful pool towels and place them on the chairs and set up a pitcher of lemonade with some glasses on a table. Remove newspapers and magazines and put away books. Tuck the remote controls in a draw to get them out of sight. Conceal exposed cables and cords as best that you can. Remove clutter, personal photos, the kids toys etc. from bookshelves, tables and off the floor. Dust and vacuum. Dust can show in a photograph. Wash any glass surfaces including table tops, cabinet doors and windows. Smudges and dirt on glass will be noticable in the photographs. Make the beds, but do it neatly, straighten the bed spread and pillows. Tidy up, dust and vacuum. Pick up and put away clothes and shoes. Remove items from bedside tables books, magazines, pictures, clock radios, etc. In the kids rooms put excess toys out of sight, take posters and drawings off the walls, and straighten up overall. Remove photos, notes, papers and magnets from the refrigerator. Clean the major appliances refrigerator, oven, stove top, range hood, and dishwasher. Wipe down the counter tops. Don’t leave any dirty dishes in the sink or sponges, dish towels, dish soap or the like near the sink. Move trash cans out of site. Dust the furniture and vacuum the floors. Setting the table with nice dinnerware, napkins and a centerpiece can give a homey feel. If you have a China cabinet make sure things are straight and tidy inside. Clear off the counter tops; toiletries, tissues, hair products, just about everything should be put away. Remove all those products used in the shower and the rubber ducks the shower and tub. Make sure towels are folded neatly and are straight on the towel bars. Close the lid on the toilets..
Mirrors and shower doors should be clean. Turn on all the lights, inside and out. Turn off the ceiling fans. Open the blinds, shades and curtains.